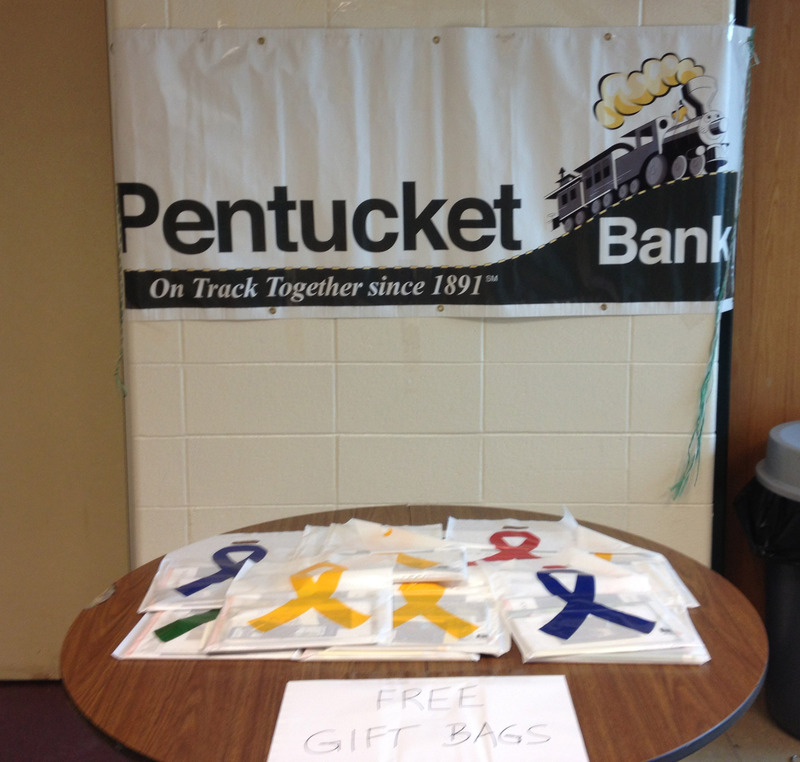 Pentucket Bank banner hanging over some of the free gift bags. 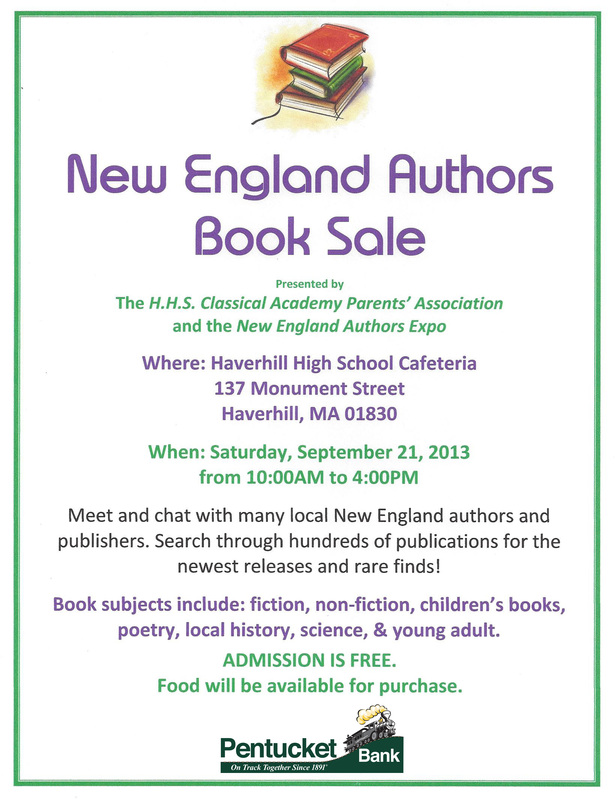 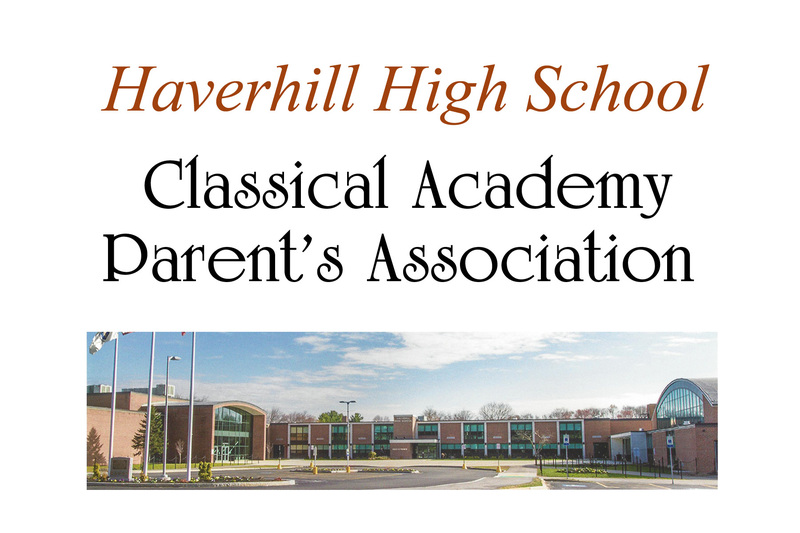 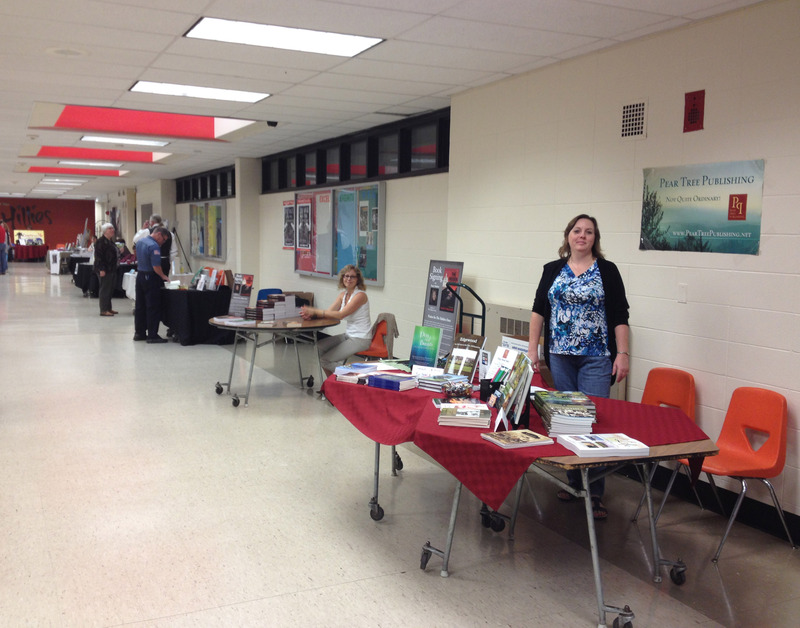 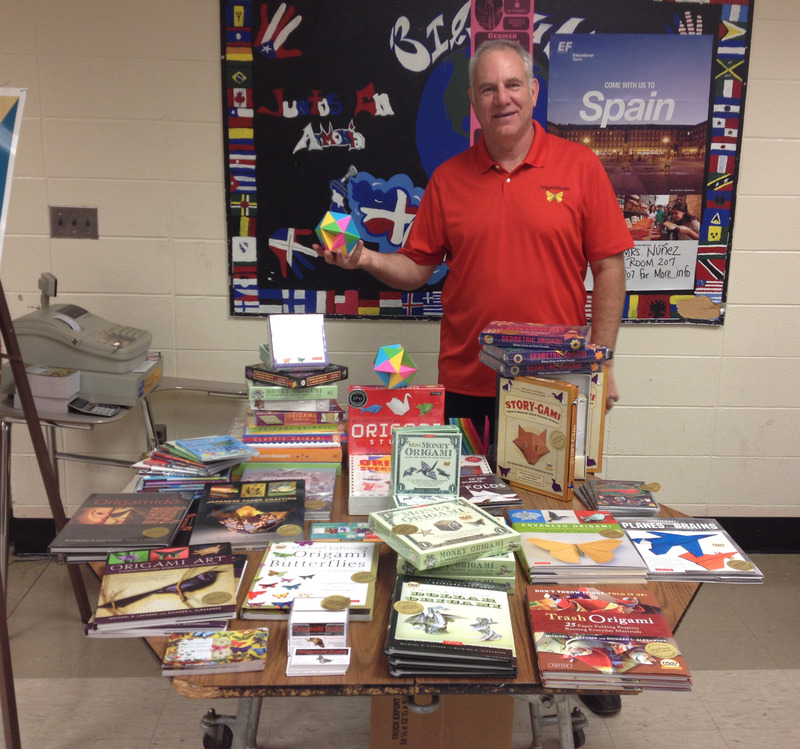 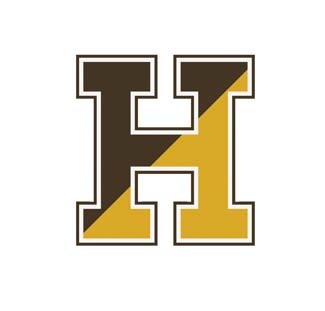 Haverhill High School, location of the 2013 New England Authors Book Sale. 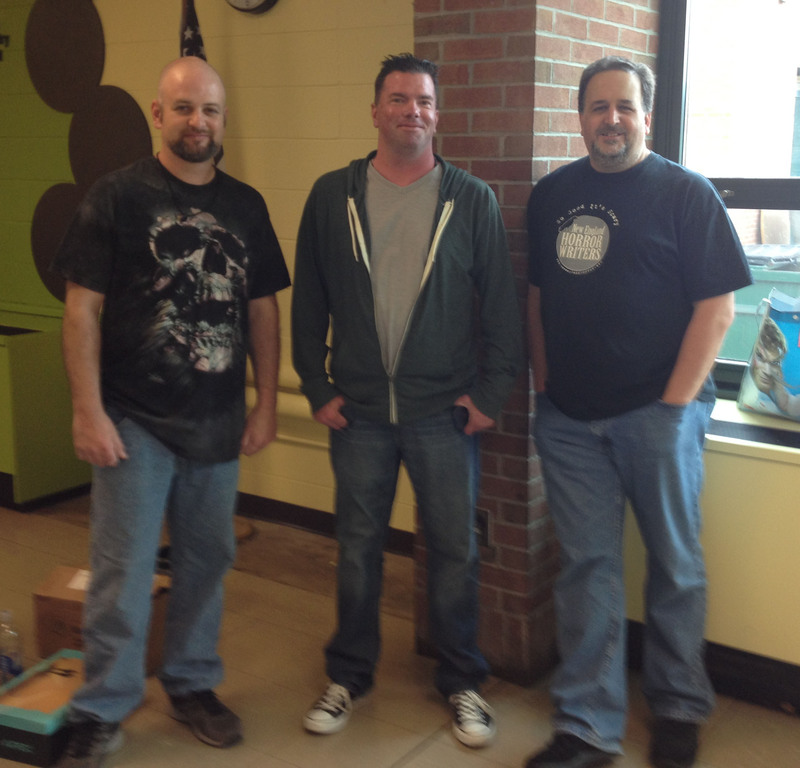 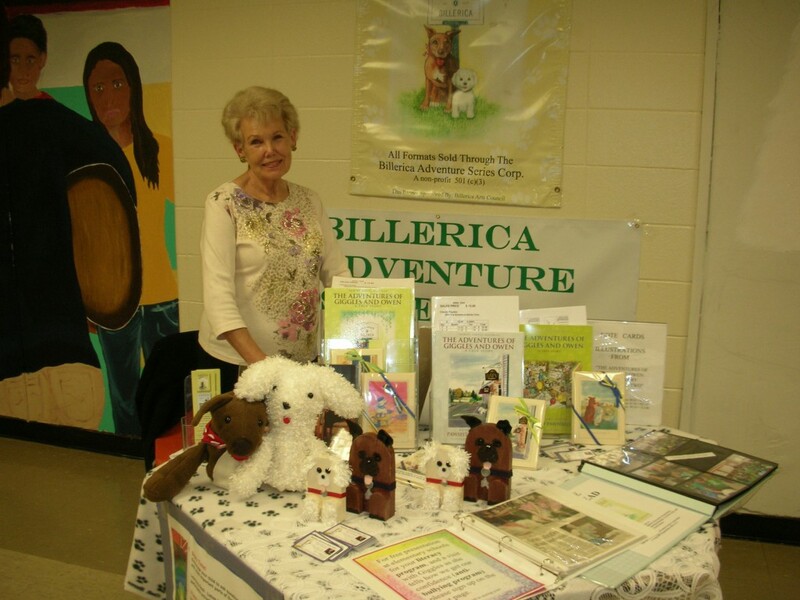 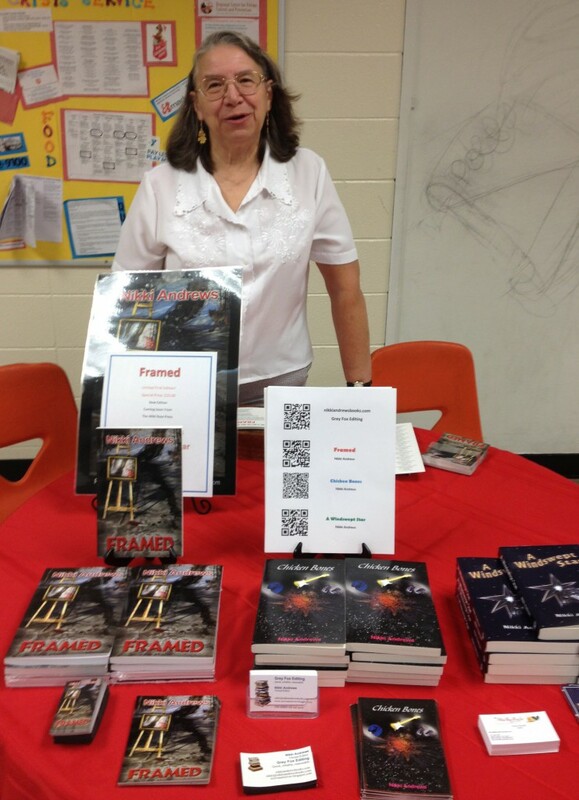 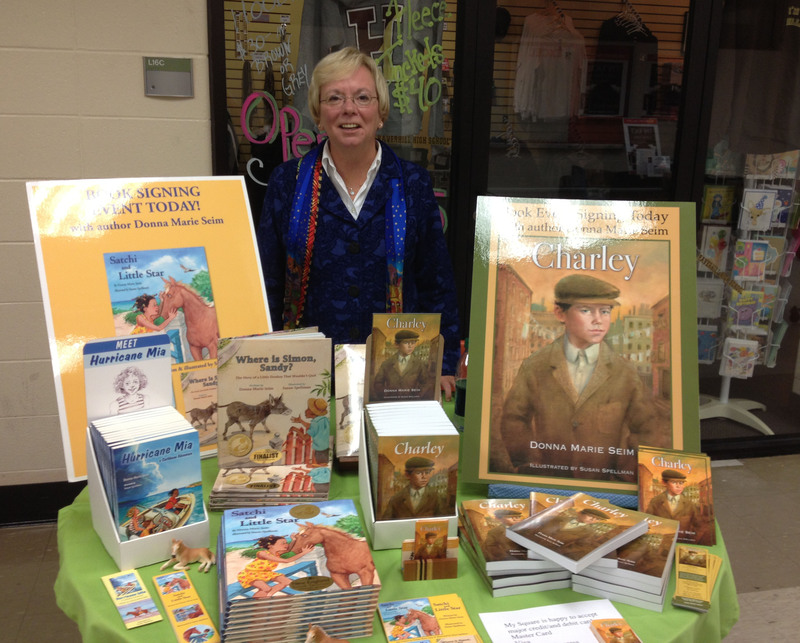 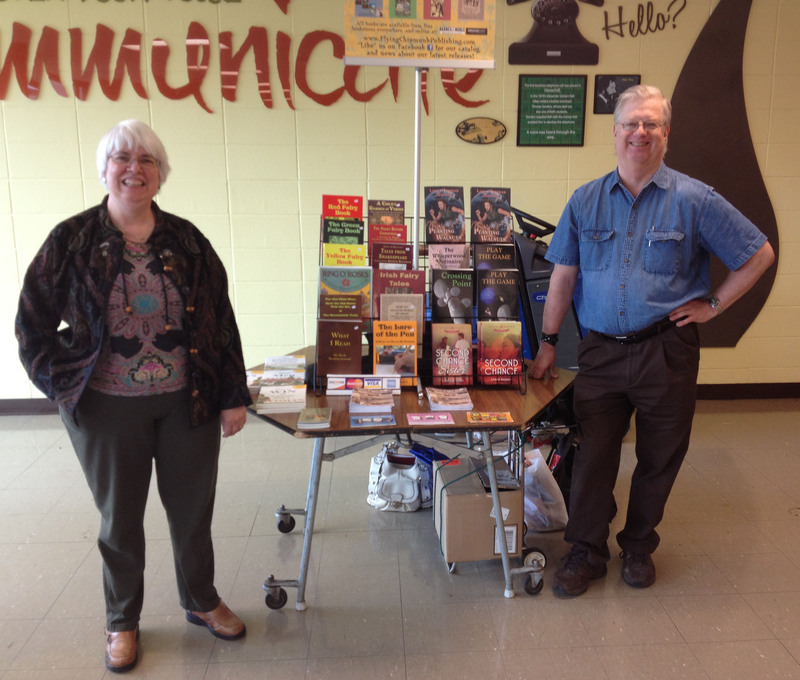 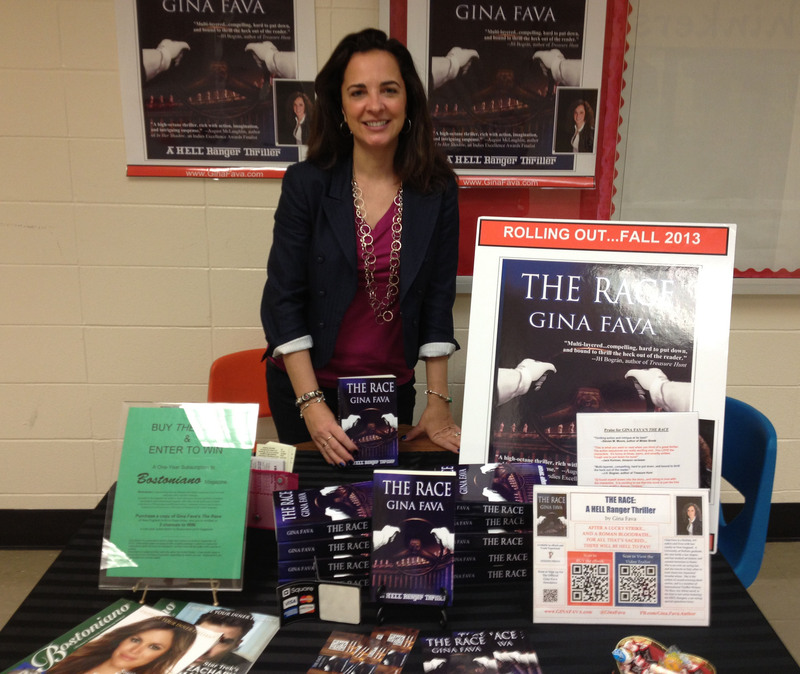 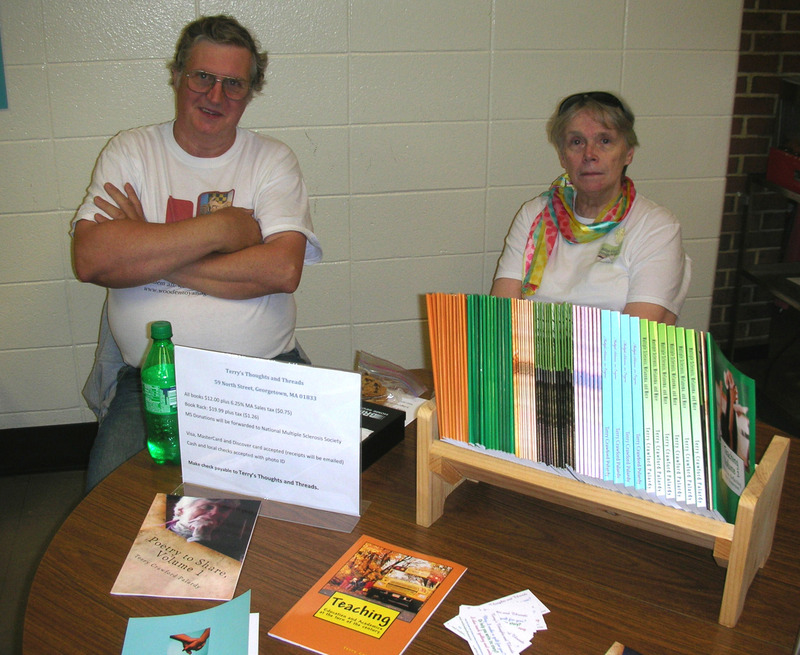 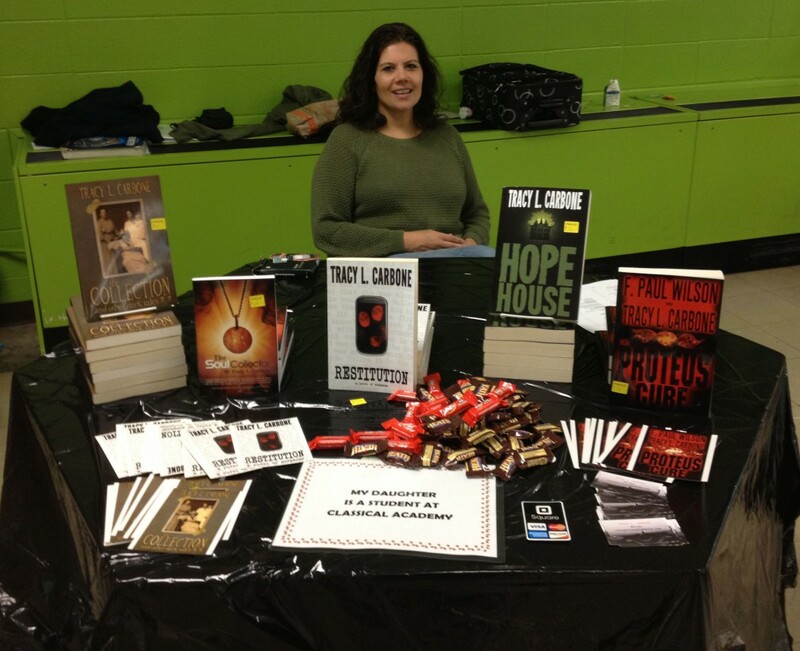 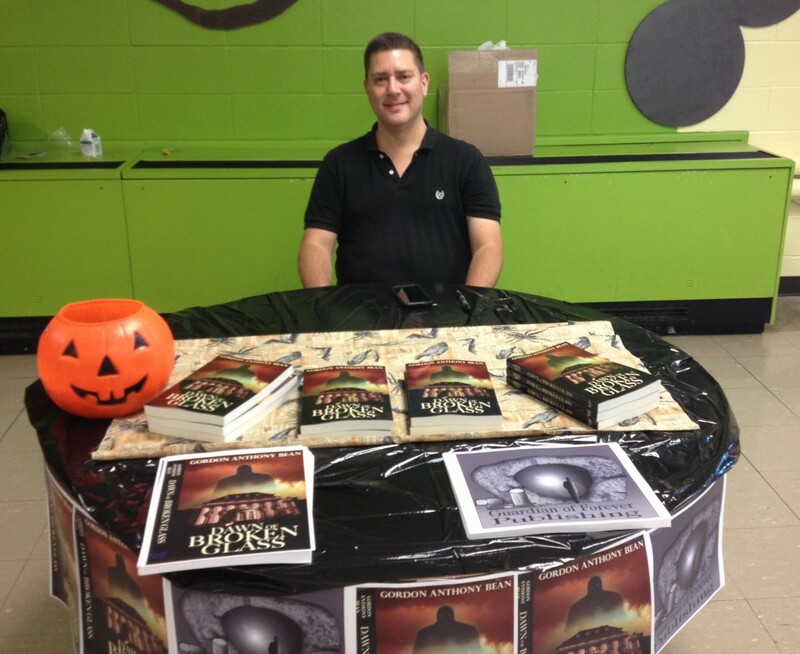 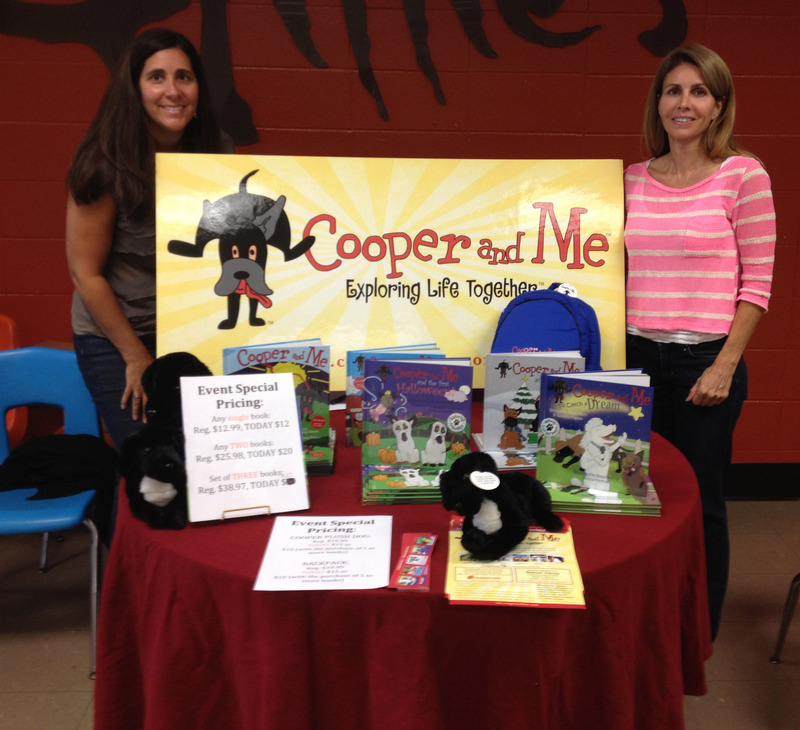 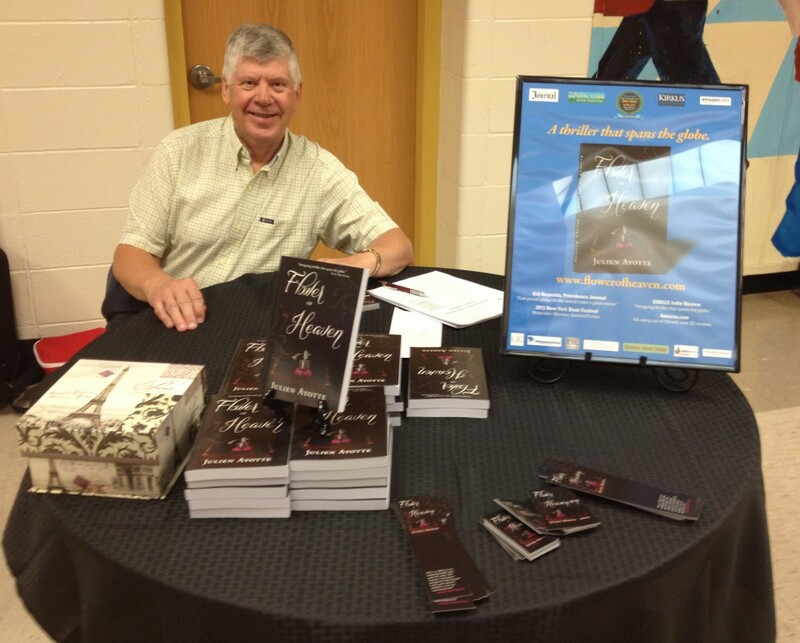 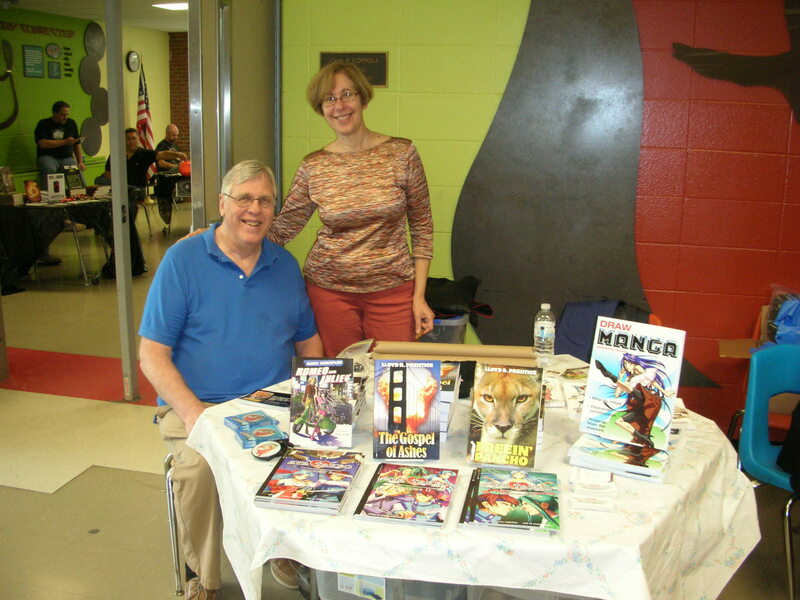 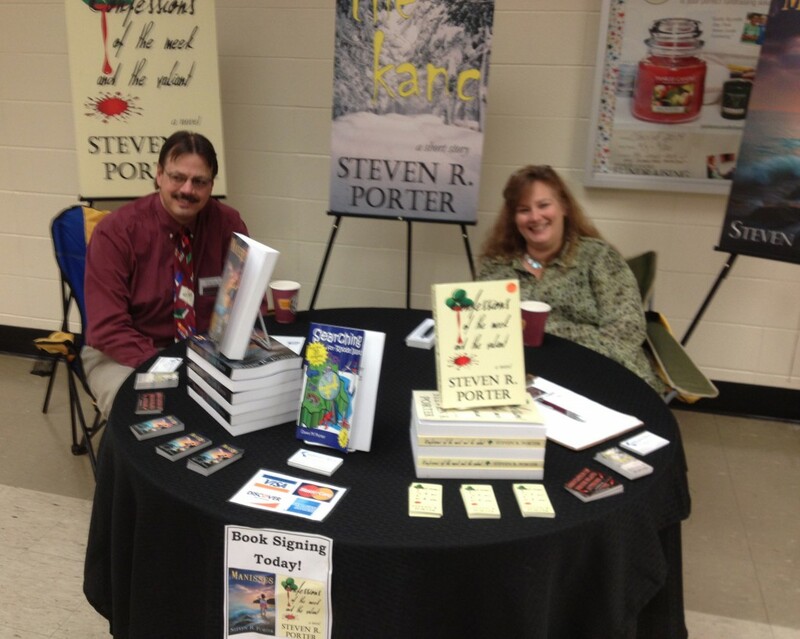 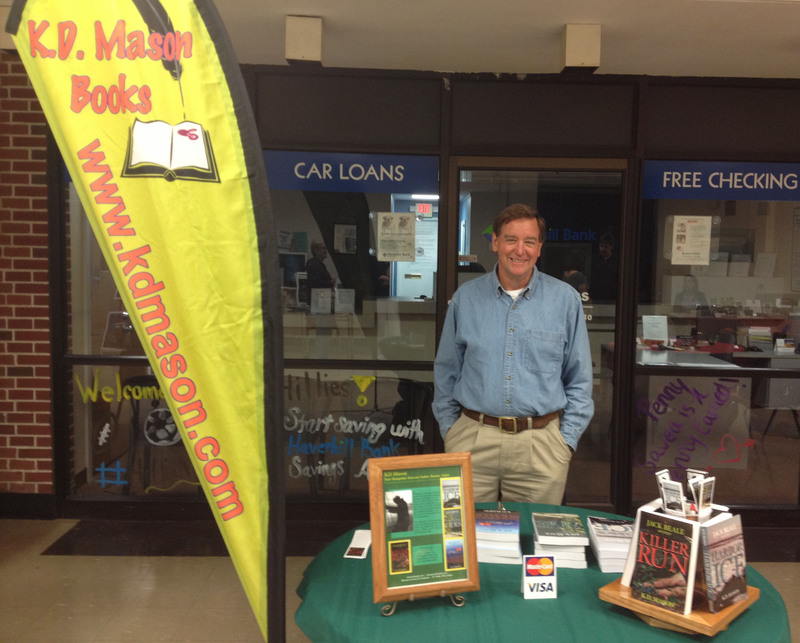 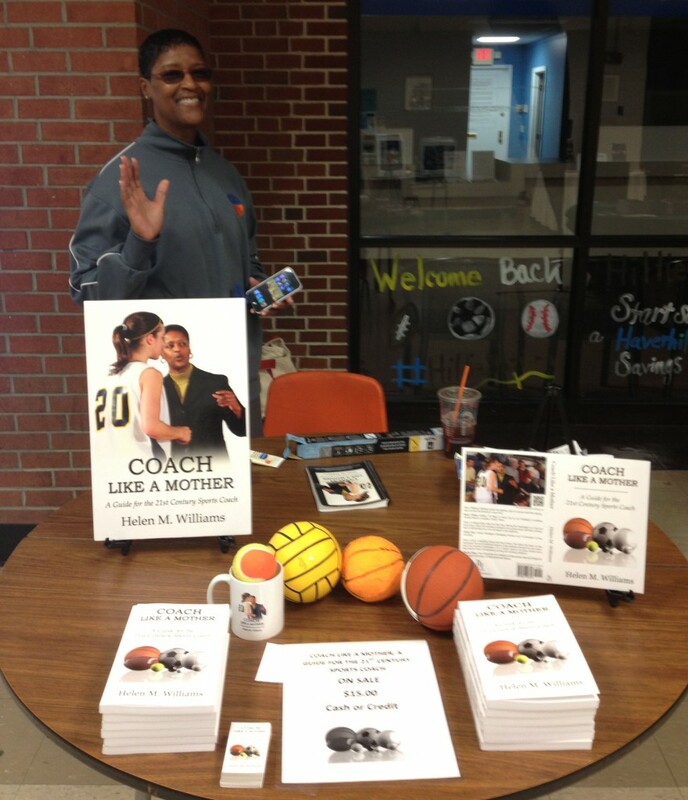 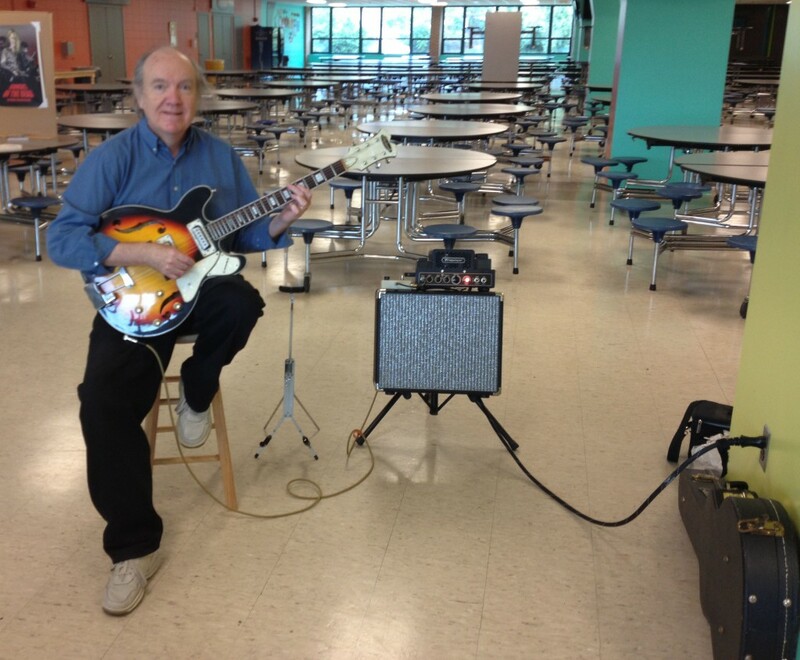 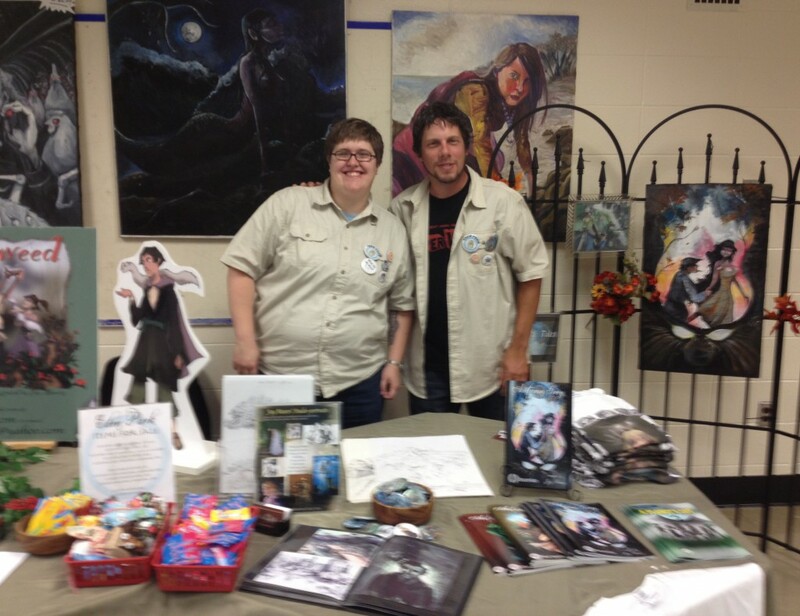 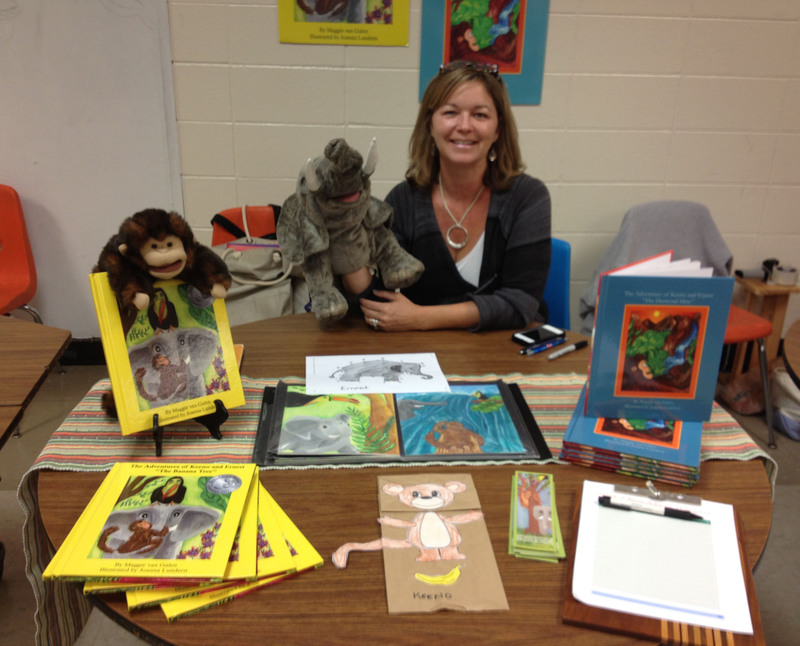 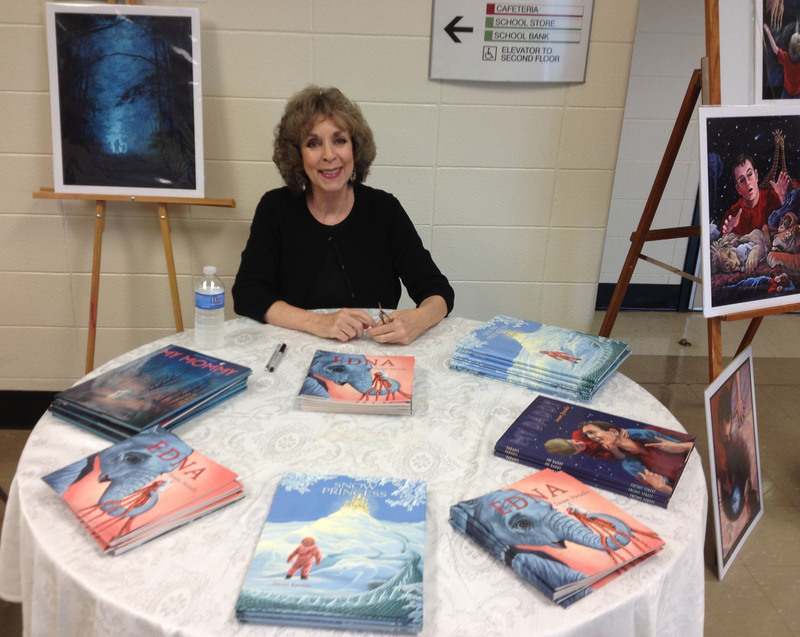 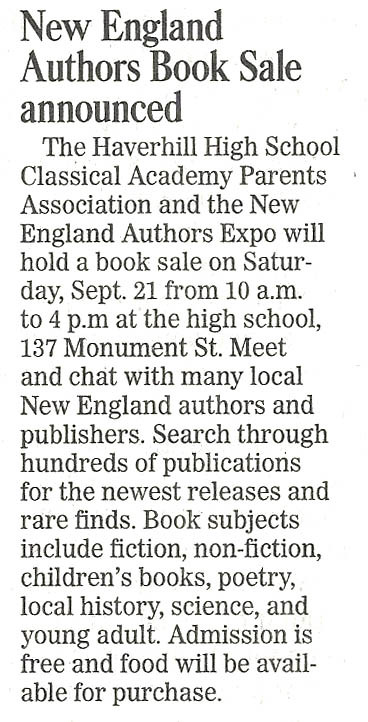 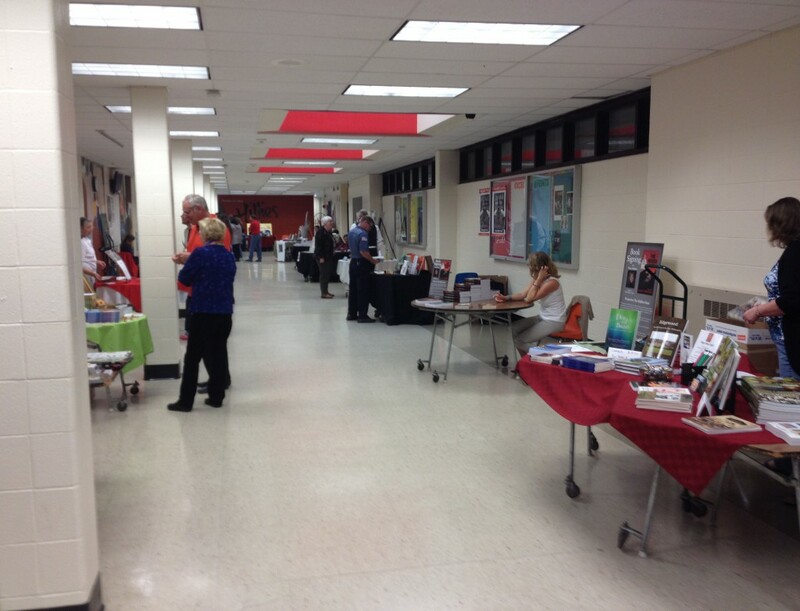 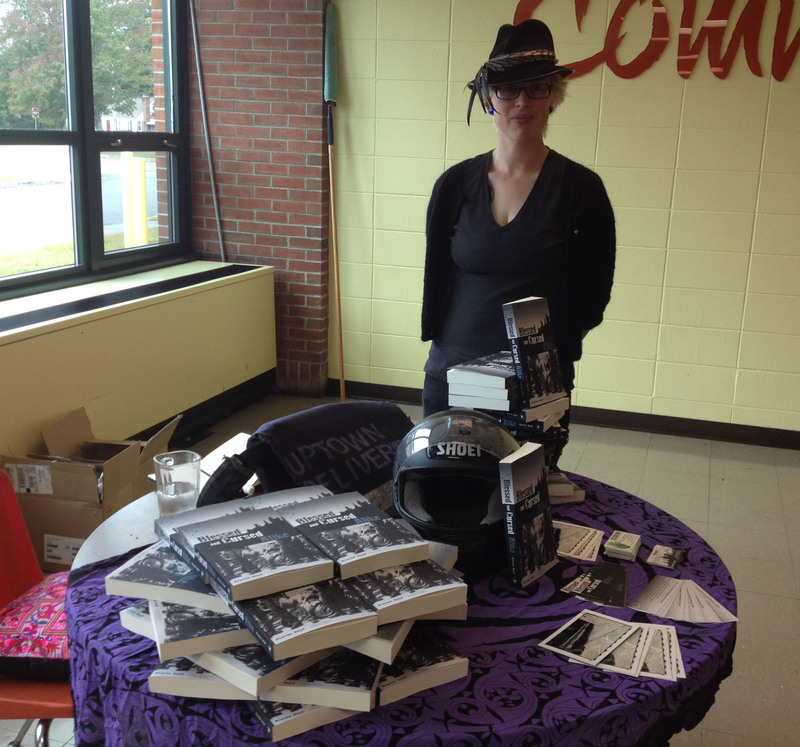 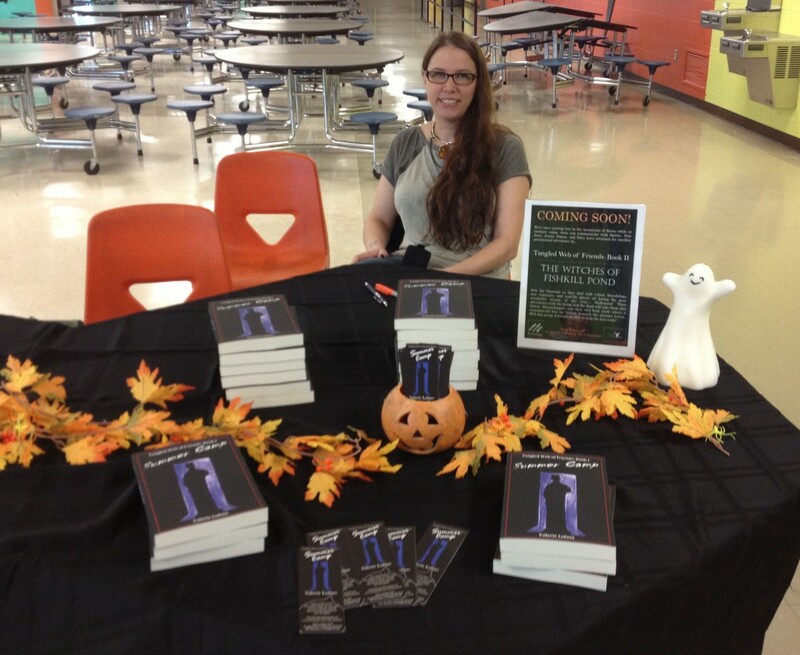 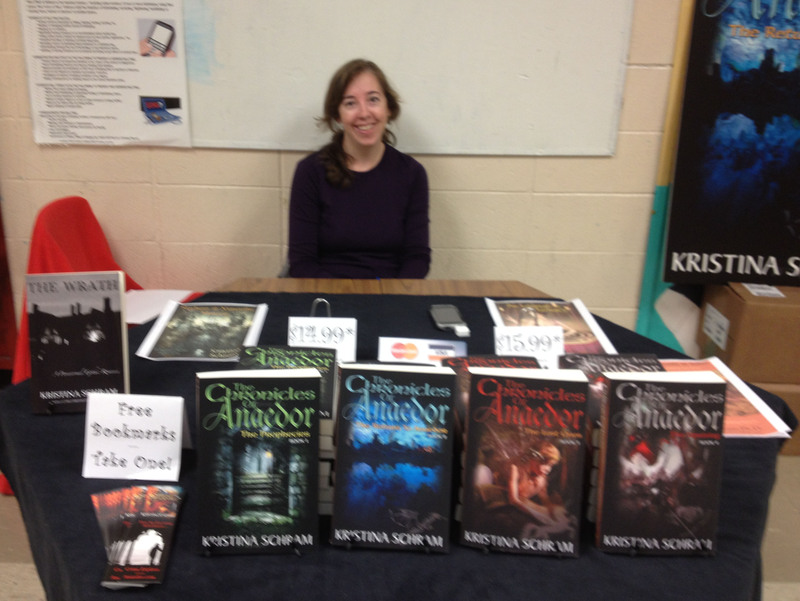 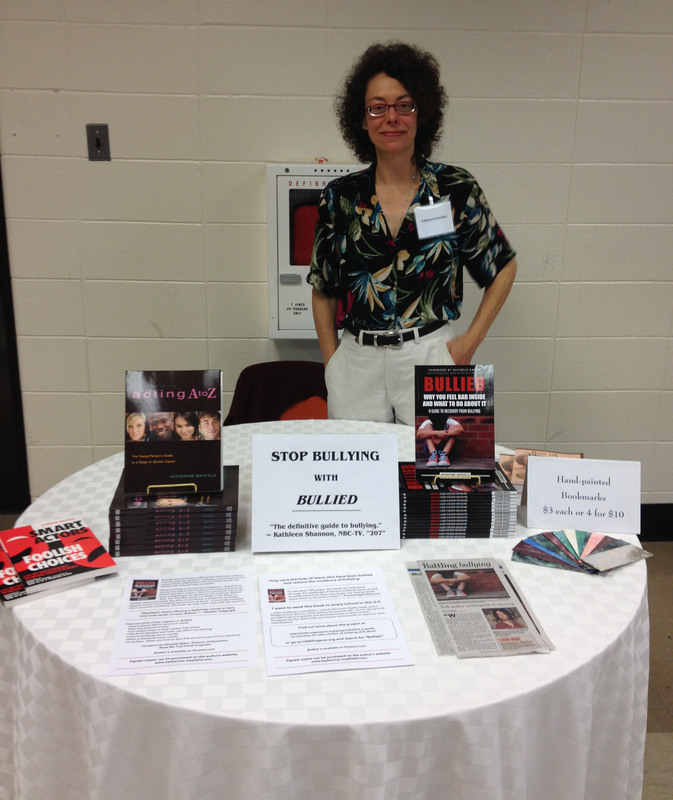 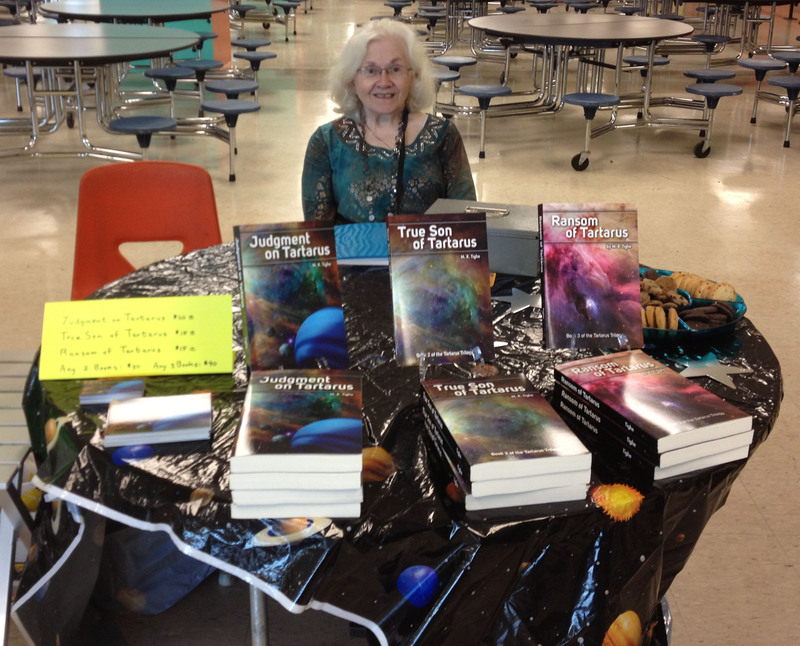 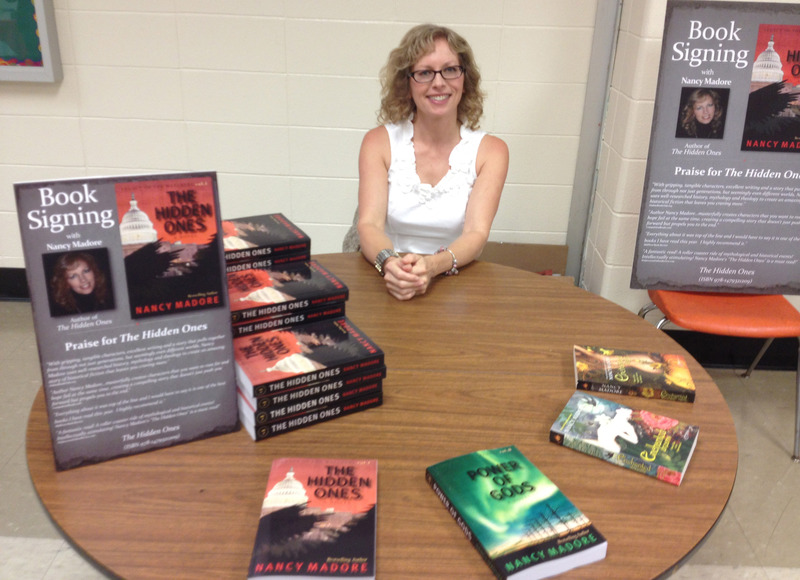 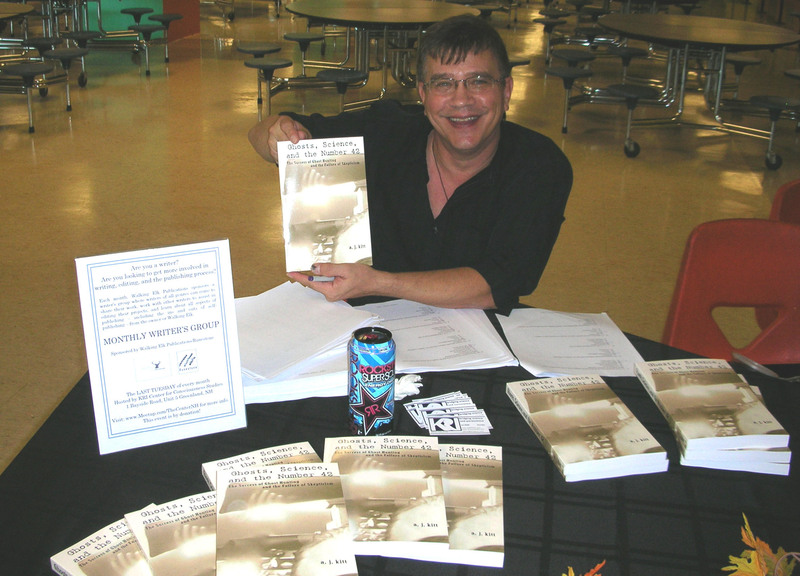 This was a New England Authors Expo event.